Hand crafted rocker recliner with full leg chaise and ample back and arm padding in heathered brown upholstery. This Handmade American rocker recliner is as good as it gets when it comes to the end of another long day. 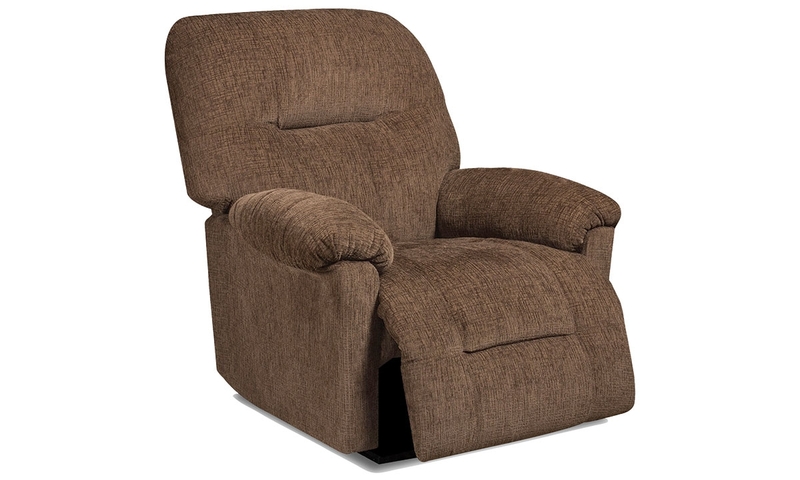 Its tried and true design comes finished in a warm, brown upholstery with full leg chaise and overstuffed back and arms for maximum support. Different colors and power options also available.